Love cookies and cream? Me too. 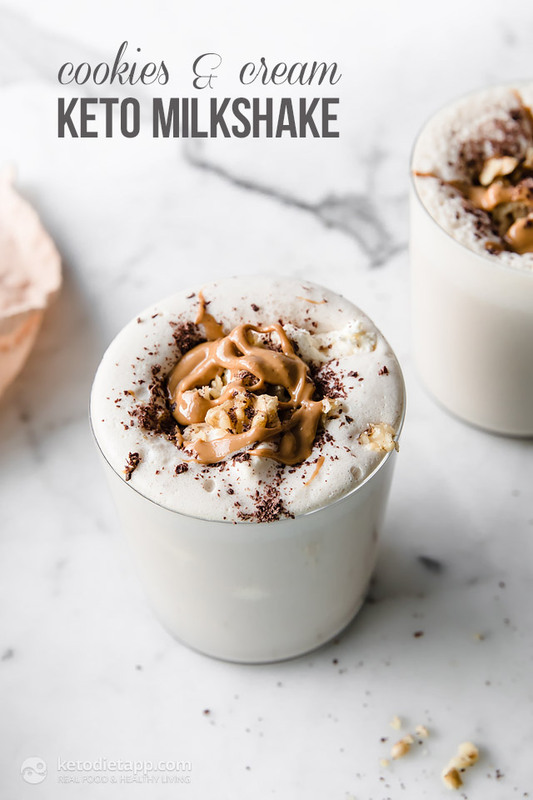 This is my cheats keto-friendly version in a milkshake. It takes five minutes to make so perfect for if you’re a busy bee or struggle to eat breakfast. 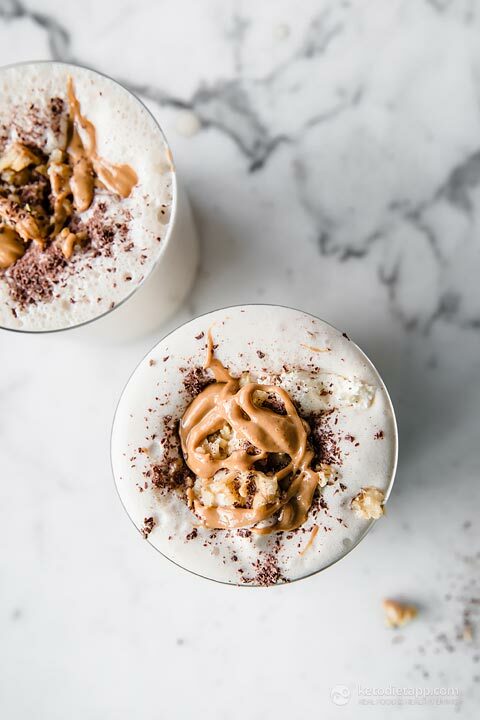 This sugar-free Keto Cookies and Cream Milkshake will keep you full as it’s high in healthy fats. I guess you could also call it a "Fat Bomb Milkshake". It’s one of my favourite ways to fuel my morning. I hope you enjoy it too. Want to convert it into a frozen treat? 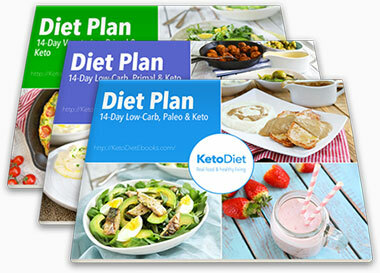 Just add a scoop of our no-churn keto Vanilla Ice Cream or Cookies & Cream Ice-Cream. Or to keep it super simple, add a few cubes of frozen almond milk, coconut milk or water and blend with the remaining ingredients. 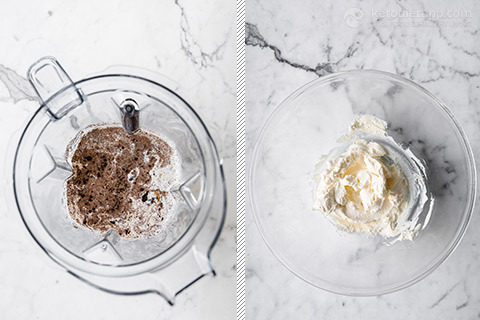 This way you&apos;ll get super creamy and frothy shake that tastes like ice cream! Place all the ingredients for the smoothie (except for what you use for topping) together in a high speed blender and blitz until smooth. The longer you blitz the thicker it gets. Feel free to just blitz all in one go, or reserve some grated chocolate, walnuts and almond butter for topping. In another bowl, whip up the cream for the topping. Use at least half to 1 cup of cream for easy beating. Any remaining whipped cream can be kept in the fridge in a sealed jar for up to 3 days. Pour the shake into serving glasses and top each with a tablespoon of whipped cream. Sprinkle with the reserved grated chocolate, crumbled walnuts, and drizzle with the remaining almond butter. Tastes best when served fresh. Barely got this one into the glass before i turned round to see an empty glass! Mr B's fav. Good thing is it takes minutes to make another! 2In another bowl, whip up the cream..